In most cases the Pupil Premium is allocated to schools and is clearly identifiable. It is for schools to decide how the Pupil Premium, allocated to schools per FSM pupil, is spent , since they are best placed to assess what additional provision should be made for the individual pupils within their responsibility. For pupils from low-income families in non-mainstream settings, it is for the local authority to decide how to allocate the Pupil Premium. For instance it could be allocated to the setting where they are being educated, or held by the local authority to spend specifically on additional educational support to raise the standard of attainment for these pupils. The authority must consult non-mainstream setting about how the Premium for these pupils should be used. Individual targeted teaching: This will be given when a pupil’s attainment is lower than expected and differentiation in lessons is not producing a ‘narrowing of the gap’ between them and their classmates. The individual support sessions will be an hour a week over 6 weeks, delivered by a qualified teacher. The impact will be judged at the end of the sessions and the pupil may be given a further course if the strategy is proving successful. This could include music tuition if that is deemed to contribute to the pupil’s wellbeing. 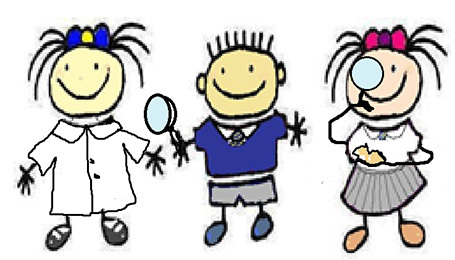 Group targeted teaching: This will be given when a group of children in the class, at least one of whom qualifies for pupil premium, will all benefit from teaching outside the expected parameters of the class. This may be booster or extension work. The tutoring will be delivered by a qualified teacher and will be assigned termly.Wider experiences: The fund will pay for school trips or workshops for individuals where we usually ask for a voluntary contribution from the parents. Whole school initiatives.The fund may be used for a whole school initiative where this is deemed to have an impact on the achievement of the pupils. For example, to pay for a horticultural expert for a day to start off the school growing beds for the season. These will then be tended as part of the nurture group. Pastoral Support.This will be arranged for individual pupils where there is a specific need. It will include staffing of the nurture room at lunch time where children can withdraw for individual or small group support; teaching assistant support where a child has emotional issues; counselling; mentoring or other support specific to individual children. Equipment. On rare occasions the fund will be used to provide equipment for pupils to help them access their learning. We will assess each pupil individually to decide which strategy, or combination of strategies, will be most effective in supporting their progress. The progress will be monitored at the half termly pupil progress meetings and overseen by the Inclusion Manager, who will report regularly to the Headteacher and Governing Body on the impact of the Pupil Premium.